Hold on to your hats erstwhile readers, Glock has two new offerings on the table for concealed carriers and they are outstanding. 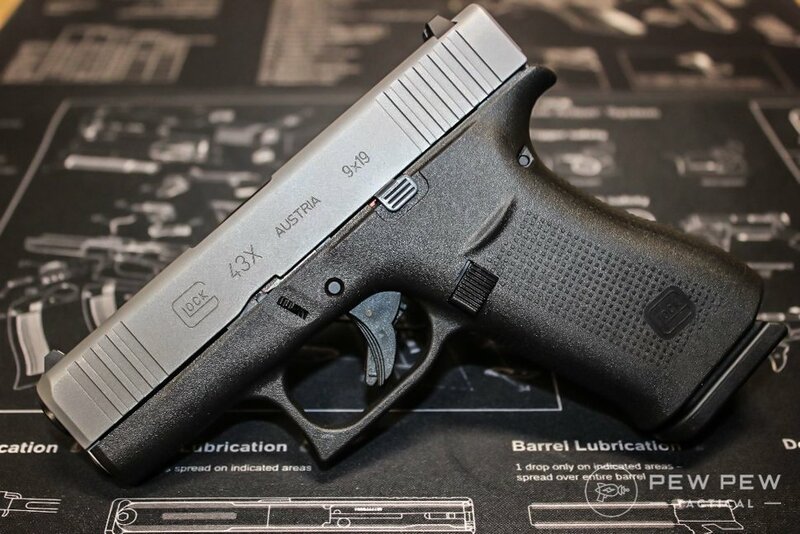 The G43X is an updated version of the original G43, the single-stack, 9mm wunderkind produced by the Austrians. The G48 is a slightly longer version of the same gun but its presence portends something potentially even greater. I’m going to give you some details about the new shooters, throw my pitch as to why I think you should care, and then take a stab at guessing the future—at least, as it pertains to Glock. 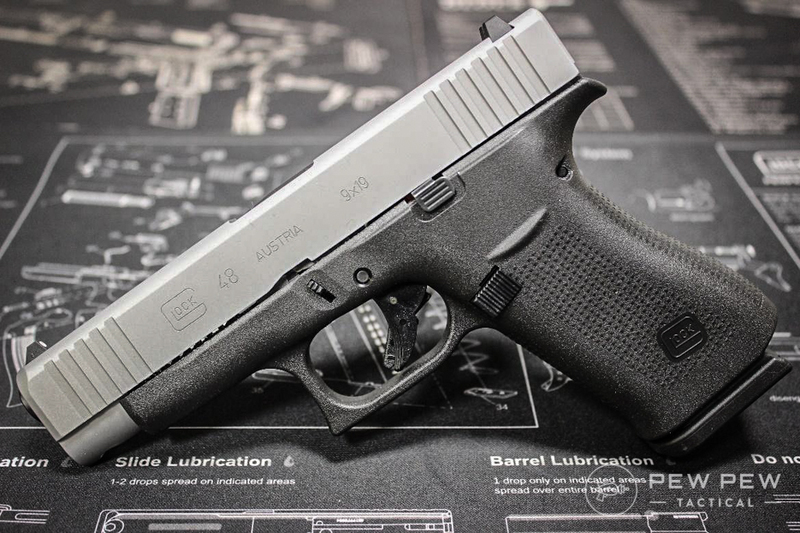 When the G43 was revealed in 2015 it hit a lot of marks for customers who loved Glock reliability but wanted something on more of a diet. 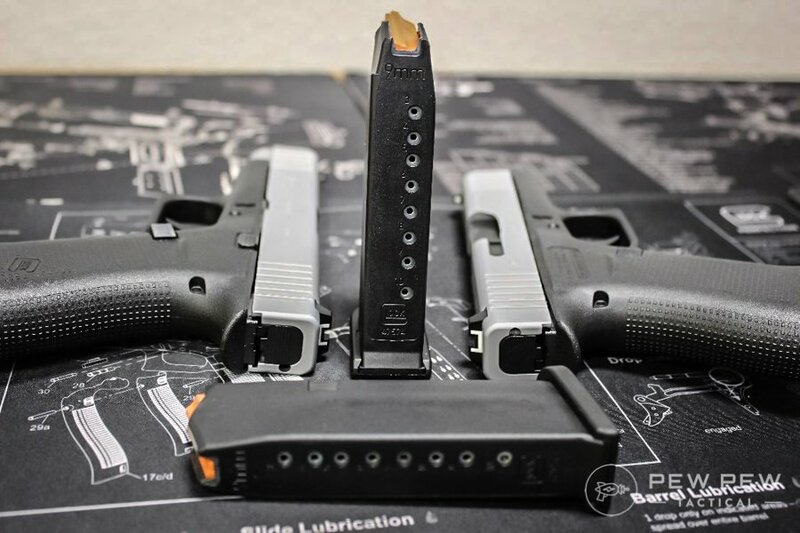 After all, the G19 is a good concealed carry option, so is the G26 for that matter, but both are a little on the thick side with their double-stacked magazines. Shooters prayed for a slimmer Glock they could tuck away when it was warm outside and concealing layers of clothing were either telling or just uncomfortable. To answer that need—Glock released the G42 in .380, then the G43 followed in 9mm. Most loved the thinner profile. Some argued over the 6+1 capacity. While one camp thought this was a decent tradeoff, others wanted still more capacity. At the beginning of SHOT Show in 2018, Sig Sauer released their P365, a 9mm single-stack with a 10+1 capacity. Now, companies can’t, or at least they shouldn’t, rush production on things so you can imagine a lot of planning, design, then testing go into making new models. Glock had been preparing for its next iteration like a counter-puncher in a prize fight. The G43X was gifted with the genetics found in the Gen 5 upgrades: better trigger, tapered muzzle, and orange magazine followers. But one of the best upgrades had to be the 10+1 capacity. So how did Glock do this? Comparing my original G43 with the new model they are essentially the same size but for the grip, which is elongated on the G43X by a little less than half an inch. The magazine is a single stack configuration. Glock widened the magazine and magwell to accommodate this change though I could barely tell the difference. The overall package is still very small and easily concealed. The appearance with the silver slide is pretty sleek, a bit more refined. Working down the slide toward the muzzle you also find there are three (count ‘em) forward serrations on the G43X. Imagine the same gun with a roughly half-inch longer slide and you have the G48 in a nutshell. Another difference is there are four slide serrations near the muzzle due to the slightly expanded real estate. The grip, trigger, and other controls are all in the same areas as they are on the G43X. Again, the gun still has the same capacity at 10+1, but the slightly longer sight radius should help with a little more accuracy. Glock was kind enough to send these new models out a bit in advance of the release, just enough time for me to get a few hundred rounds through each and formulate some impressions. I’ve been plugging away pretty faithfully with the old G43 so I also had that experience to compare and contrast with. Firing a 9mm from a full-size pistol is one thing. Simple physics dictates that same exchange in a smaller gun is going to produce more recoil, the springs can only do so much. That being said, I feel like the newer models had less muzzle flip. I believe the extended grip has everything in the world to do with this. Follow up shots were a bit quicker because I wasn’t recovering so much from recoil. The smoother trigger was pleasant and actually tested nearly two pounds lighter on the Lyman Digital Trigger Gauge from Brownells (right around 6 pounds). I found both guns to be accurate and consistent, firing everything I ran through them without fail. The longest distance I shot from was 15 yards but the accuracy was good, both guns grouped well. The only failure I experienced was when the slide did not lock back on the G43X after I ran the mag dry. This was caused by my thumb placement (sitting on the slide stop lever) and after I adjusted, did not reoccur. Because these are smaller guns, extra large hands can cause some minor issues. I had a tiny amount of slide bite but didn’t even notice it until after my day at the range. Part of the web of my 2X hand still manages to reach up over the beavertail. Everything else was golden (or silver? ), pure Glock mechanization. What’s It All Mean Dr. Strange? Hey Doc, cast a spell to tell me what Glock has up their sleeve next! I’m no Sorcerer Supreme and I have no bones that predict the weather (yet). With Glock calling the G43X a sub-compact and calling the G48 a compact, I got to wondering if they might put out a full-size, single-stack, 9mm. To me, it only makes sense and—it would be amazing! Imagine a 1911-esque, full-size shooter with Glock’s proven reliability. If we’re at 10+1 now, could we see 12+1? Oh man, my knees are shaking under the desk as I type this. But back to the matter at hand! The G43X and G48 are bold moves. Some will undoubtedly compare Glock to Apple, complaining they are delivering yet a newer version in a never-ending progression of upgrades so I’ll have to buy the next one. Others might look at the G43X and G48 and say “meh” it’s not that different. Here’s why they’re wrong. Glock G48 and G43X with Magazines! The firearms industry is filled with ancient dinosaurs trudging toward the tar pits; companies that haven’t come up with innovative ideas in years. Some of these giants are also guilty of either not listening to or being out of touch with their customer base. The constant improvements demonstrated by Glock are largely driven by customer demand. This is a result of either direct communication or from watching the enormous Glock aftermarket. They are listening to their buyers and delivering. The G43X and G48 are wonderful examples of that. Oh, and we’re told that MSRP will be $580. If you’re looking for something a bit larger though, take a look at my review of the Glock G45! 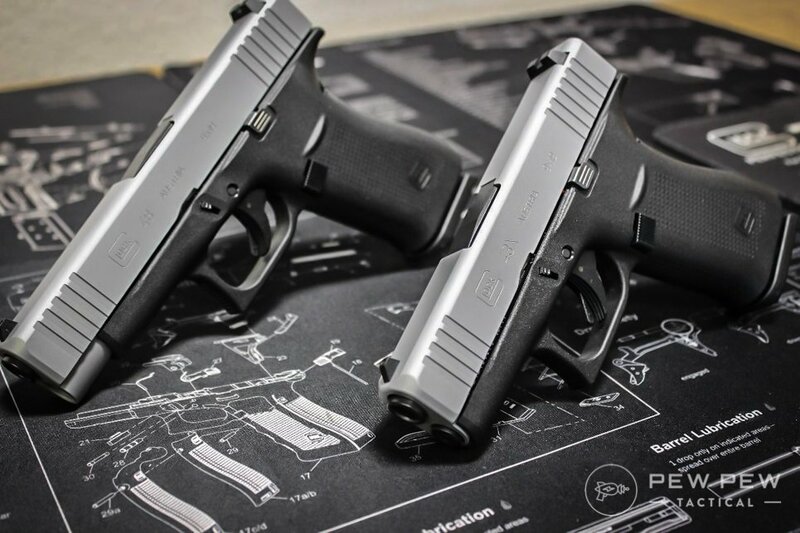 What do you think of the new Glock offerings? What do you want to see from Glock at SHOT Show this year? Let us know in the comments! i have a g32 (same as the g19 except .357 sig) and a shield in .357 sig. i carry the shield most of the time because i have a damaged hand from the service (1969) and the glock is on the bulky side. i think the 43x and the 48 would be great for carry due to the slightly thinner frame. i just might have to try the g48, even though i would have to change from my beloved .357 sig. If this had been available a year ago, maybe I wouldn’t have bought a Kahr CT-9. I was asking my LGS yesterday if Glock offered a 4″ barrel with slim grip yet. Something I’ve wanted for years is a full-size Glock 10mm with slim single-stack grip. I have enough 1911s these days that it’s not much of a concern, but it would still be a neat gun. I had a brand new, top line, Kahr that jammed every other round, cut my hand, and was sold with about 500 rounds only run through it. “Break it in”, the store said; “get good ammo”, the store said; I bought premium, nickel plated case cartridges. What crap. I sold it at a loss, and good riddance to Moonie owned Kahr! Glock: our of the box, no problem, NEVER a failure. I believe it will fit right in for those of us who have smaller hands and don’t want a.380. I can only wait until they get to a gun shop near me to test the fit in hand and maybe add another Glock to my safe.